Uluru, also known as Ayers Rock, is an isolated sandstone mountain near the geographic center of Australia. The monolithic formation is 600 million years old, and it is a sacred site for the Anangu, the Aboriginal people of the region. Bruce Munro is a British artist who is known for large, immersive light installations. 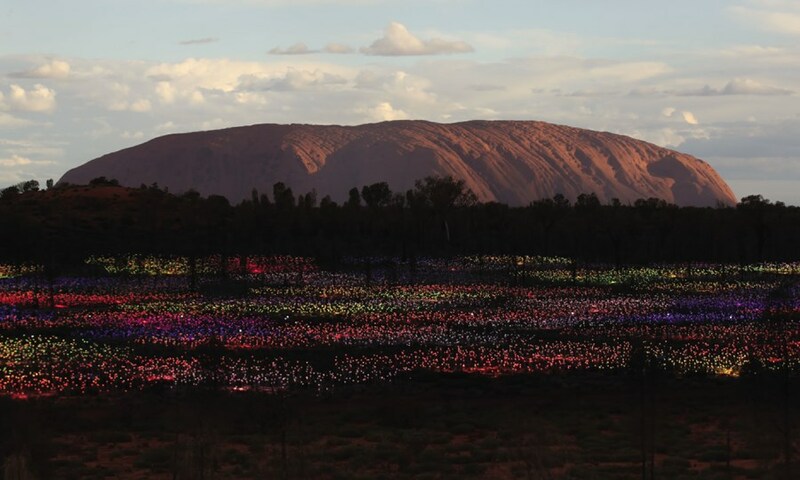 He first imagined Field of Light during a trip to Uluru in 1992, then experimented with materials and forms for the next two decades. He created an early version on his own property in Wiltshire in 2004, and subsequent versions have been installed at the V&A Museum in 2004, the Holburne Museum in 2011, and Longwood Gardens in 2012. 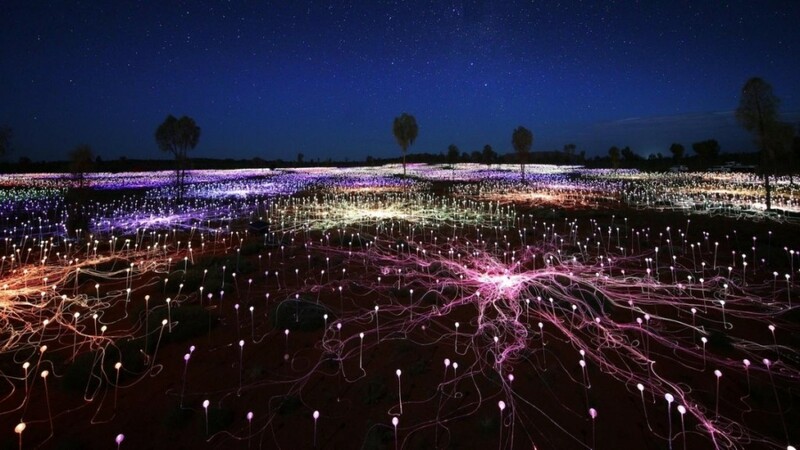 Now, six miles from the base of Uluru and 200 miles from the nearest town, Field of Light illuminates the desert each night. 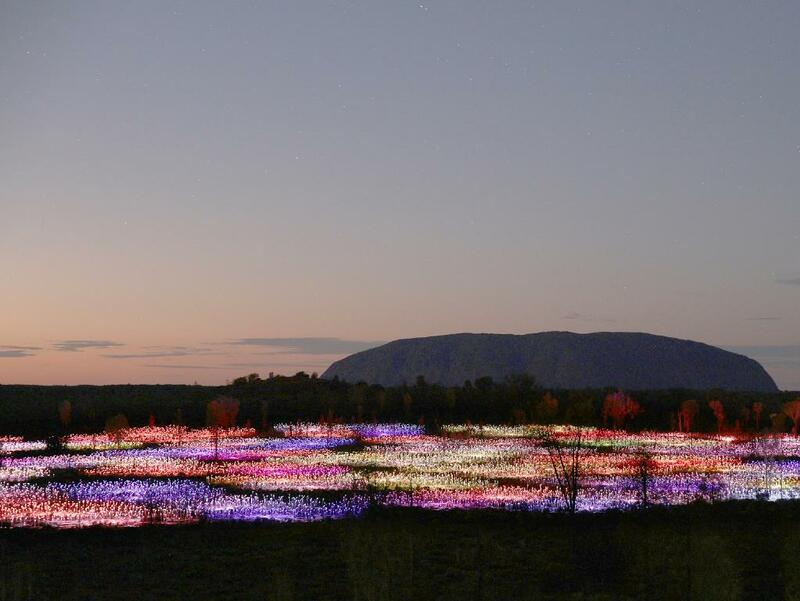 It covers the landscape with 50,000 solar-powered lights that go on before sunrise, and again before dusk, with colors and intensities that transition with the sky and light conditions. 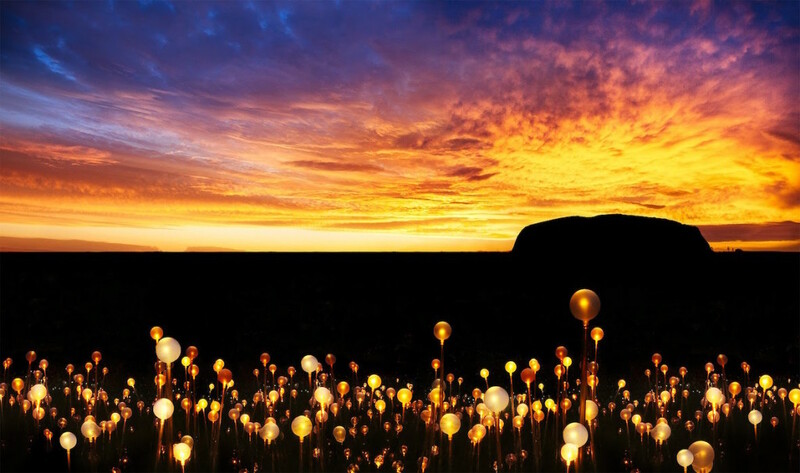 The Anangu call it Tili Wiru Tjuta Nyakutjaku, which means “Looking at Lots of Little Beautiful Lights” in the Pitjantjatjara language. 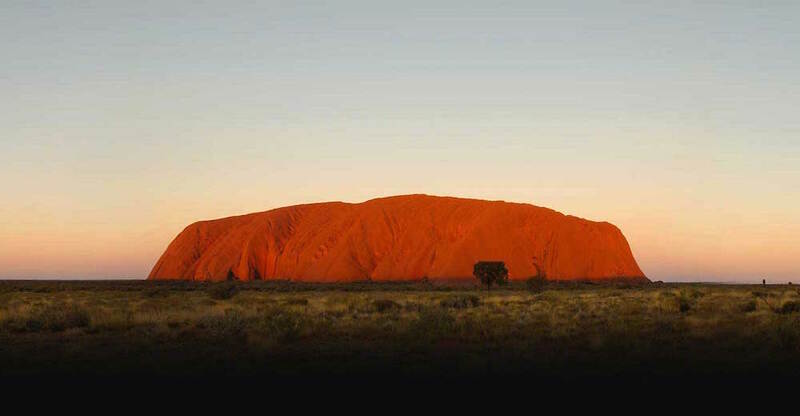 Uluru’s remote location necessitates that visitors pre-book tours through Ayers Rock Resort. Field of Light is sponsored by Investec and Quantas, and profits from the installation will benefit the local community. Field of Light continues through December 31, 2020. For a guide to visiting Uluri, check out Bookmundi.